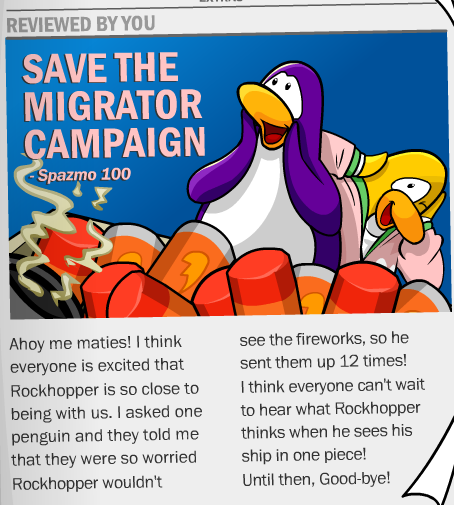 Rockhopper has arrived just in time for the party. 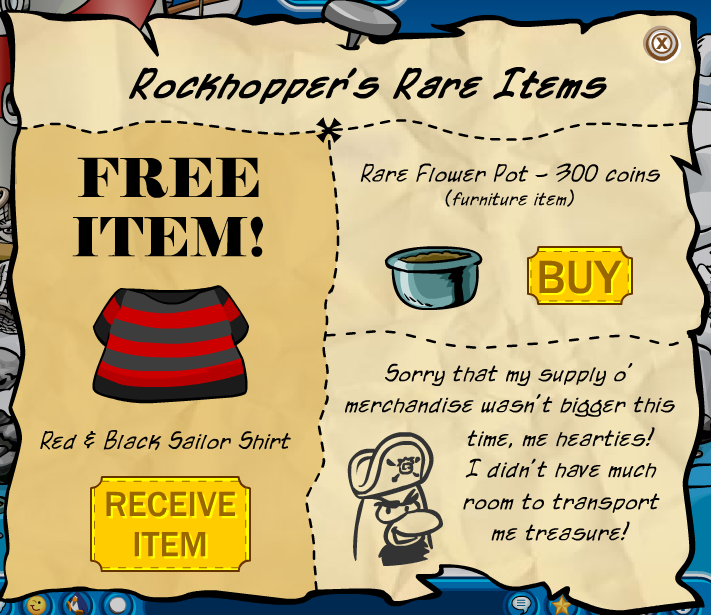 He brought a Black & Red Pirate Shirt for non-members & a rare flower pot for members which you can buy for 300 coins. Strangely, you can’t grow anything in them. I was hoping for a new type of plant from Rockhopper Island. Is it just me, or does his boat seem smaller? 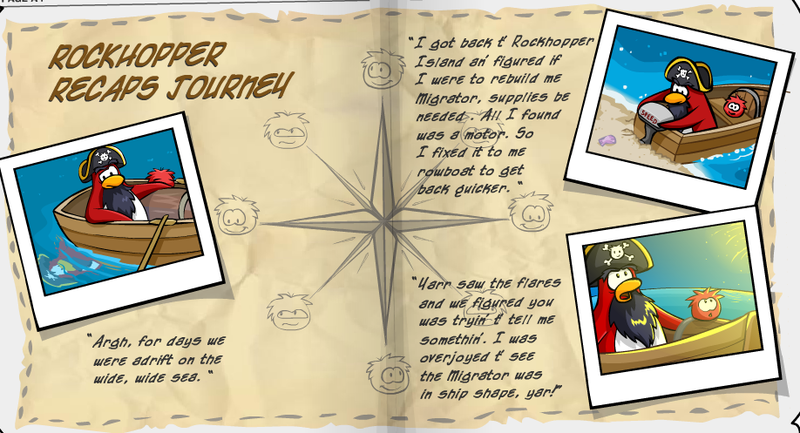 I’ve seen Yarr on board the Migrator & Rockhopper is roaming the island as we speak. There seems to be a bug with the background too, you can’t get it. 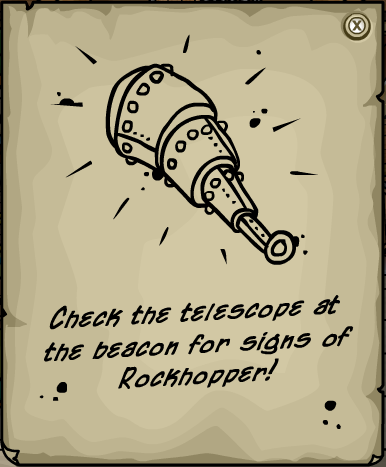 Click here to read about the pirate parade Rockhopper had earlier today in Bellyslide. I also forgot to post about the new note attached to the Captain’s Quarters door. It’s gone now, but I guess I’ll post about it anyway. Billybob posted a sneak peek of the new room (the Captain’s Quarters) yesterday too. 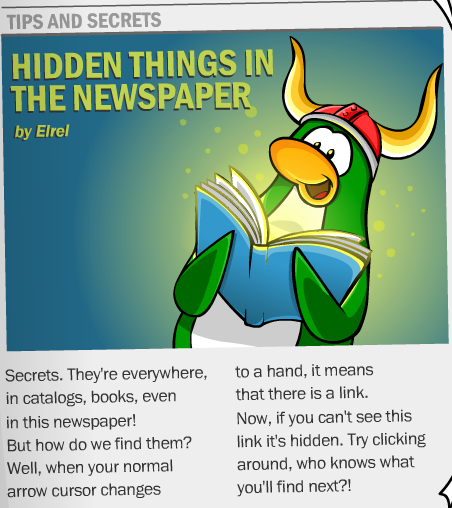 Now for the new newspaper. 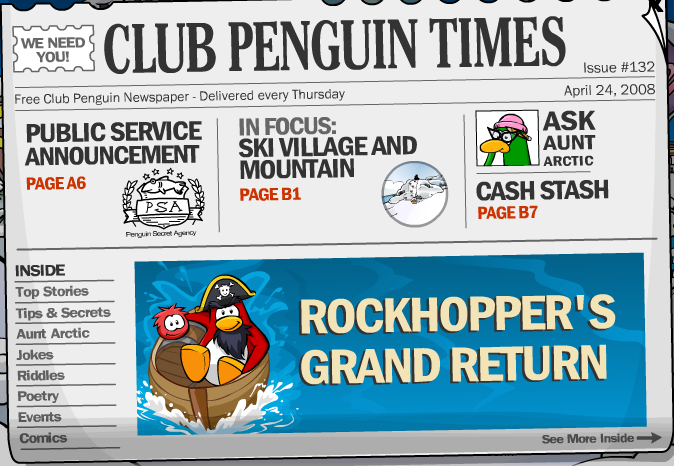 There’s an article about the reward Rockhopper is giving us for fixing his ship. 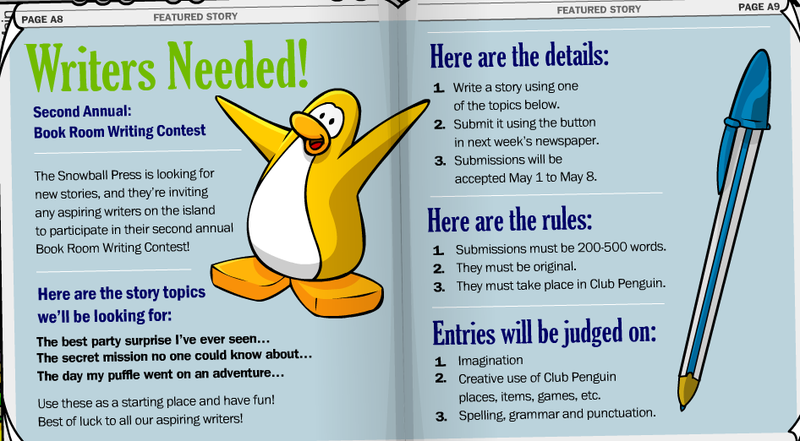 He sent a letter in to the Penguin Times. We’ll be able to enter the Captain’s Quarters on Monday. 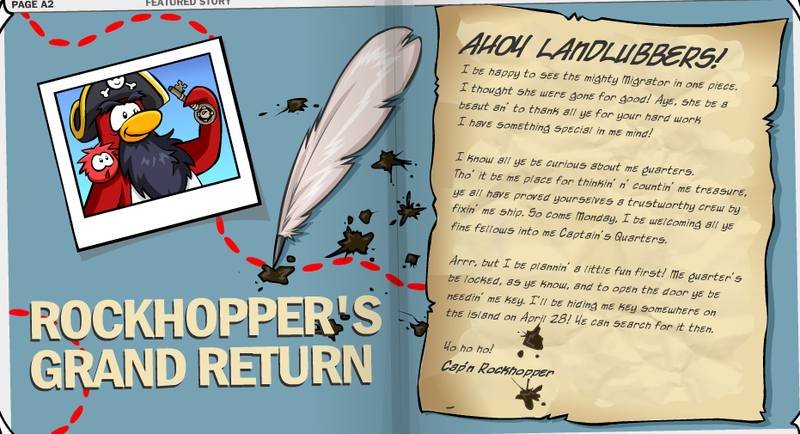 Rockhopper will be hiding the key somewhere around the island, a bit like a pin. 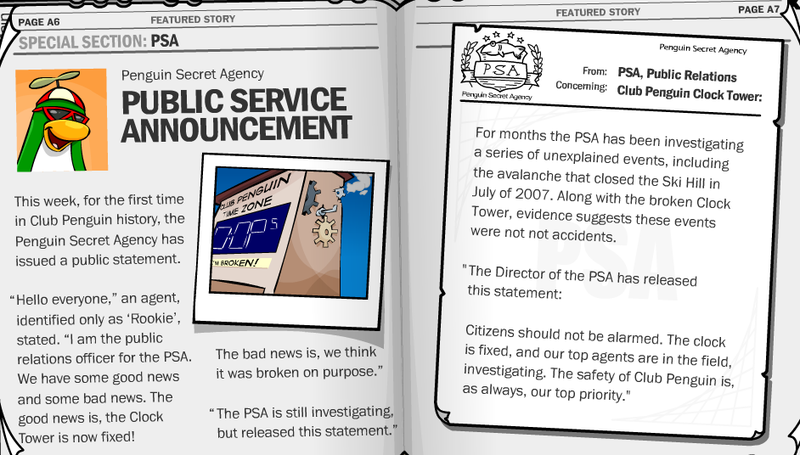 And for the first time ever, the PSA have made a public announcement in the newspaper. There’s gonna be another Book Room writing contest too. I missed the last one by a few weeks. I remember when it came out though. I hope the stories are that good this time too. This week there are two user-written articles. I guess they’re slightly better than last time, but I think I fell asleep 5 or 6 times. 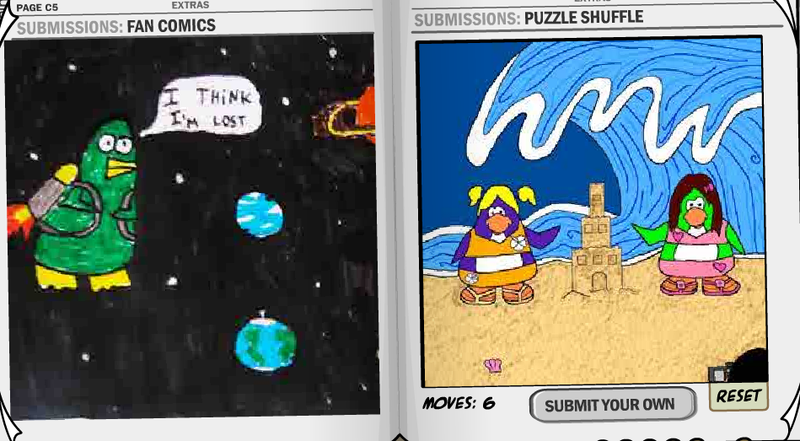 There is some good artwork this week. I like the space comic. See the way the 6 doesn’t fit?